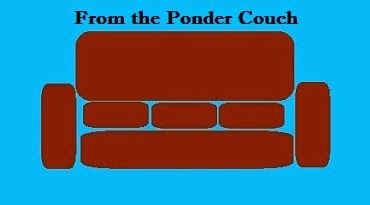 From the Ponder Couch: Project CALVIN AND HOBBES! - The Yukon Song! 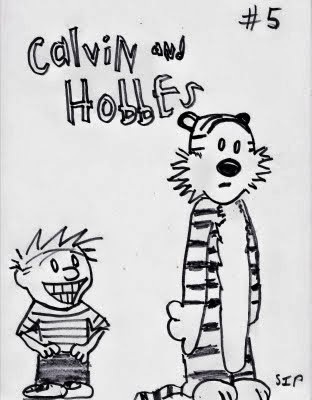 Project CALVIN AND HOBBES! - The Yukon Song! Welcome to Project C.A.L.V.I.N. and H.O.B.B.E.S. ! That stands for Create A Loving Version Incarnate Namesake and Homage Of Bill's Best Entertainment Strip! I love Calvin and Hobbes by Bill Watterson! They were my first tattoo! The world is sometimes a sad and scary place. I want to do my best to counteract that by adding as much joy to it as I can. 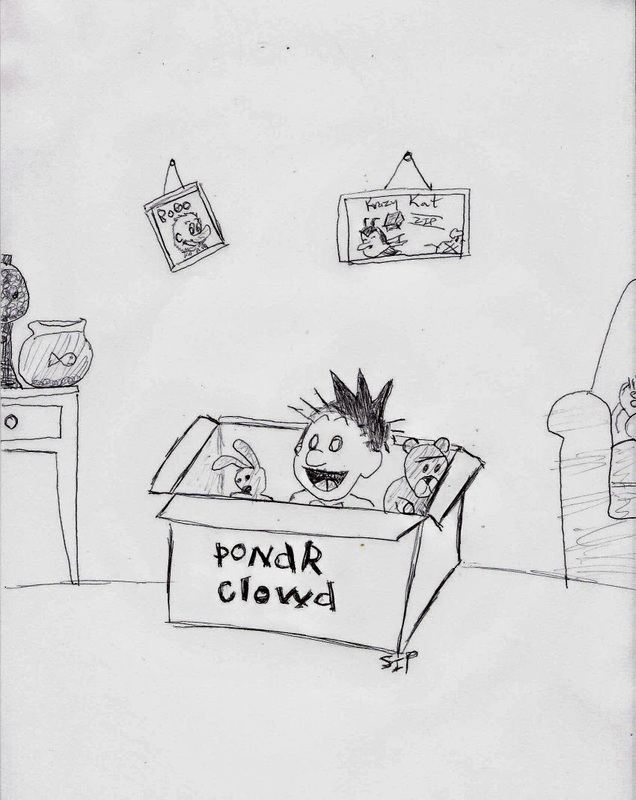 What better way than to bring imaginary things from Calvin and Hobbes into actual, real life being! 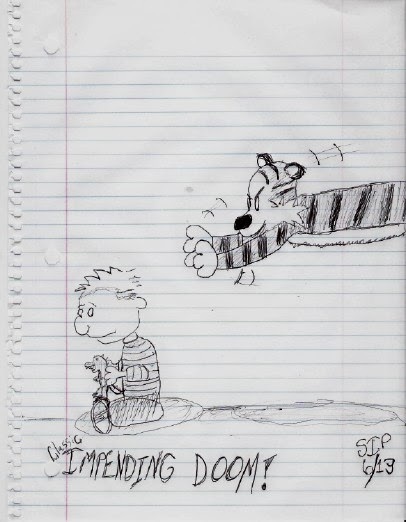 I plan on making at least one thing from Calvin and Hobbes into physical existence a month. I got this idea from Dinosaur Dracula! Well, Mummy Shark (the tumblr companion to Dinosaur Dracula). 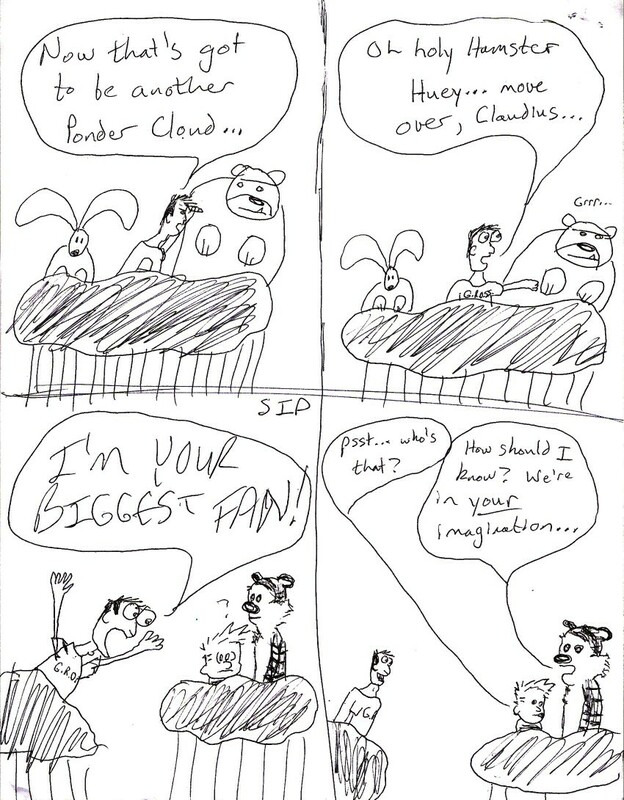 Matt (the guy who writes all the DinoDrac articles) wrote a tumblr post in December about making Calvin's perfect snowball. 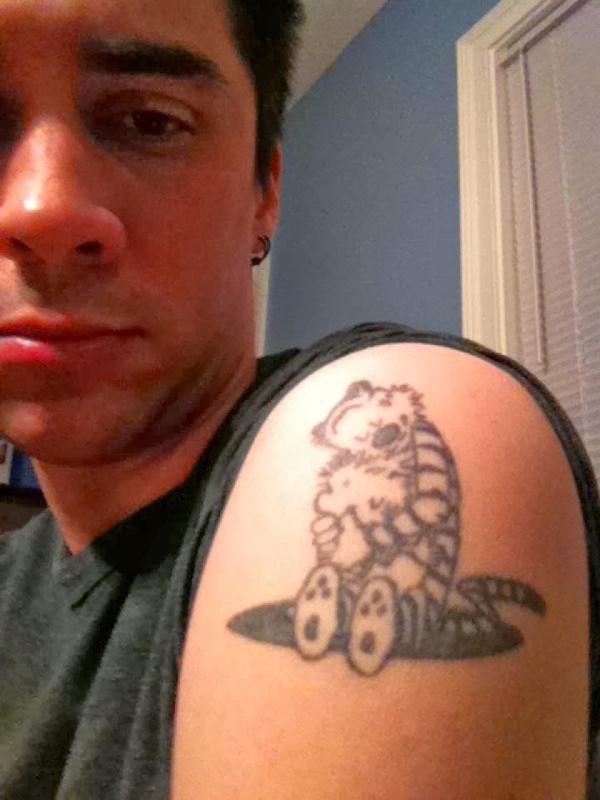 He made something from Calvin in Hobbes into something real! "Hey!" 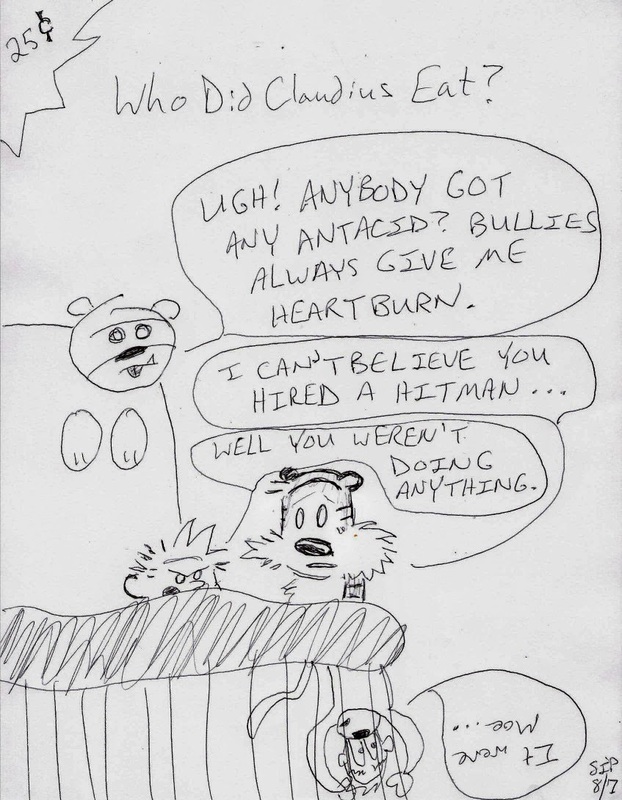 I thought to myself, "I could make stuff from Calvin and Hobbes real!" He also wrote an article on Dinosaur Dracula about how Target sells these tiger dolls that look like Hobbes mid-transition between a toy and real tiger. Anyway, I'll post as often as I make something. And I hope you'll follow my path of creation and make some of your own Calvin and Hobbes stuff too! Leave a comment, share this blog with those who are interested, and thanks for reading! For now, here are 3 comics I made for my Ponder and Enlightening series that involve Calvin and Hobbes in some way. And one from my other comic Impending Doom! Clutter: 10 Magnets on the Ponder Fridge! Popcorn on the Cob from the Corn Palace! A Collection of Common Background Songs 2!